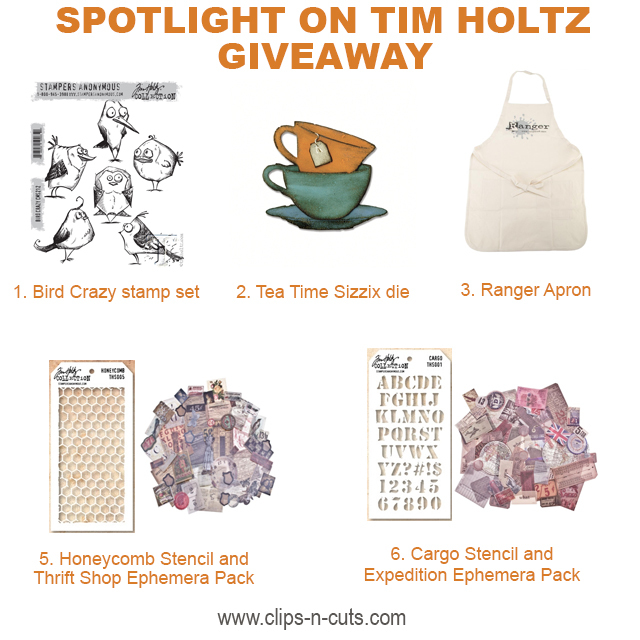 ArtyFartyAnnie: Fab Tim Holtz Giveaway!! This week, Vicky is featuring lots of stuff from the latest release of TH products, so as well as checking out her wonderful YouTube toots, you can enter this giveaway to be in with a chance of winning some of those goodies. You have to be in it to win it, innit?? Hope you win! I've never gone as crazy as most for TH for some reason but do love certain items! !